What I finally want to emphasize is that all this redundant and "objectively real but totally unobservable" superstructure – from many worlds to extra invisible Bohmian positions of particles (which can't help in the case of spin or particle production, anyway) or other hidden variables to GRW collapses prescribed from above – is only being invented because certain people behave as bigots who are unable to admit that the physics research in the 20th century has irreversibly falsified all intrinsically classical models of the reality. All the new "fanciful stuff" with tons of choices and processes (superluminal communication, preferred frames, collapses, the length scale to which the GRW collapses shrink the wave function, the frequency of such flashes etc.) that can never be observed and with the infinite amount of fine-tuning and obfuscation that is needed for it to fake the real, relativistic quantum world (to guarantee that none of the new predictions is really observed) is only being proposed because some people's bigotry has no limits. Their dogmas about "realism" are more important for them than any amount of empirical evidence, more important for them than everything that science has actually found. 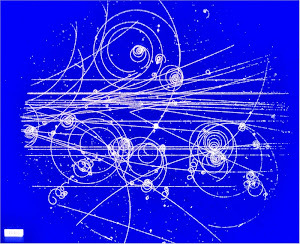 People, those bigots who are still denying that the insights of quantum mechanics inevitably force one to be careful about the positivist, instrumentalist principles and that forces us to understand science as a gadget to organize our observations rather than to promote the idea about an "independent real world": give up, apologize, shut up, and calculate! I would not call them bigots, but it is a little strange that physicists are so bent on promoting a concept of reality that requires a totally unobservable superstructure. If that is what people mean by realism, then I am not a realist. I go farther than Motl and say that quantum mechanics is a positivist theory. You can believe in many worlds interpretation if you want, but it is not part of quantum mechanics. I also say that probabilities are not part of (positivist) quantum mechanics. Probability is just one of those unobservable superstructures that has been tacked on to the theory to make people feel better. It has no scientific validity. 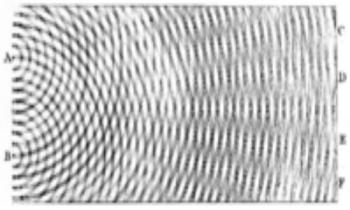 The probabilities give a way of thinking of waves as particles, but they do not help predict observations. Not directly, anyway. The realists would rather think about particles than waves. It seems to me that the realists ought to be willing to accept whatever is necessary, and the electrons are certainly not particles in the ordinary sense of the word. They are subject to Heisenberg uncertainty, and do not have definite positions and momenta.